Session 5: 2:45 p.m. -3:45 p.m.Click here for the full conference schedule. Click here to download the registration form. Disability discrimination claims are the most prevalent of all EEO complaints filed with the EEOC, with a record breaking 75% spike in the past decade, so the stakes are high for employers who fail to address employees' requests for accommodations or to properly investigate complaints of disability discrimination. Jane Kow, a disability law expert, will draw from her wealth of experience as an employment advisor to companies and workplace investigator to provide guidance on how to address and investigate employee complaints of disability discrimination, which present unique challenges for the workplace investigator. Ms. Kow will provide a set of best practices on how to avoid common employer mistakes like failing to recognize a "request" for an accommodation, not engaging in an "interactive dialogue" with an employee with a disability, and treating the employee "just like everyone else" to avoid the appearance of favoritism. She will also show how to properly investigate complaints of denial of reasonable accommodations, without invading employee medical privacy rights, while obtaining critical information about the employee's work limitations and determine whether the employer engaged in an "interactive process" in good faith. Learn how to detangle employees' attendance, performance and misconduct issues from disability related limitations, and understand how to document these issues to withstand scrutiny by an investigator, and ultimately, a judge or jury at trial. Jane Kow, founder of HR Law Consultants, leading California disability law expert and workplace investigator, is an employment lawyer who specializes in providing employers with advice, consulting and training on all aspects of employee relations. She focuses on helping employers develop and implement sound personnel policies and practices to effectively reduce the risk of litigation. She provides customized training for clients on a variety of topics, including sexual harassment prevention, managing employee medical leaves and disability accommodations requests, and compliance with wage and hour laws. She has extensive experience conducting workplace investigations and provides customized training on how to conduct effective workplace investigations. Jane Kow has been retained as a management practices expert in disability discrimination cases to opine on employers' obligations to provide reasonable workplace accommodations and best practices to prevent disability discrimination in the workplace. Jane Kow graduated from Cornell University in 1984 and New York University School of Law in 1993. 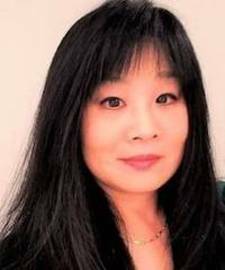 Before starting her firm, Ms. Kow practiced employment law and litigation at leading California and national law firms, and served as the sole employment lawyer and Senior Counsel at a company with 75 locations worldwide. She has advised and represented companies of all sizes and across industries in employment litigation. She was an early contributor to the California Practice Guide on Employment Litigation, published by the Rutter Group, used by judges and lawyers throughout California. Jane Kow has taught "Employment Law" at the University of California at Berkeley and "Legal Issues of Supervision" at San Jose State University. She regularly speaks at the Disability Management Employers Coalition chapter meetings in Northern California, California Judicial Council/Administrative Office of the Courts ADA/Access Coordinators Conference, the EEOC Annual Conference, and the HR West Annual Conference on both providing reasonable accommodations for employees with disabilities and conducting effective workplace investigations.